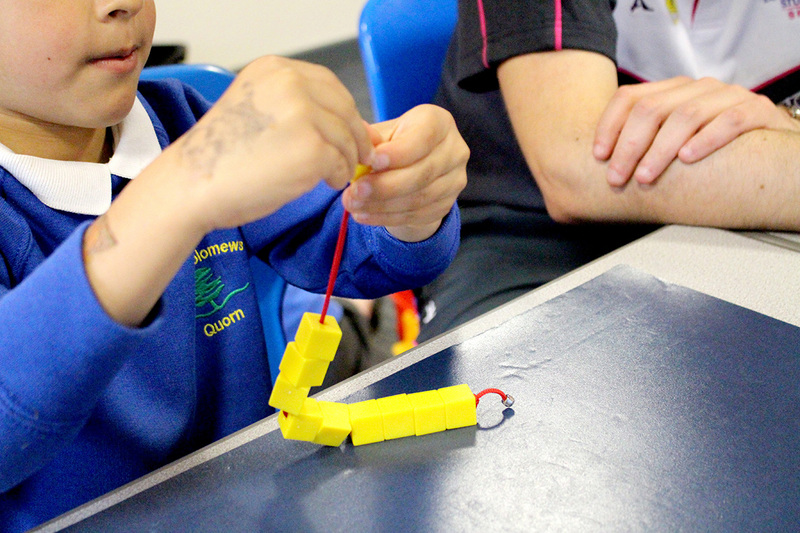 In their recent study, early years experts Dr Rebecca Duncombe and Professor Pat Preedy found almost 30% of Foundation Stage children’s physical development levels are ‘of concern’ and almost 90% demonstrate some degree of movement difficulty. Physical development plays a huge role in helping children enjoy and do well at school, impacting their ability to complete simple tasks such as sitting still, holding a pencil, putting on their shoes, and especially reading. Get your child to lie on their tummy across an exercise ball and roll backwards and forwards and side to side (or around). Parent to supervise and assist. Sit on an exercise ball on your bottom and spin round one way and then the other. Try it on the floor. Ask your child to stand in front of you and hold their hands. Ask them to jump up and down five times. Now get them to repeat this with their eyes closed. Sit on the floor facing your child and roll a ball to them. Encourage them to follow the ball as it moves along and to stop it with their hand. Ask them to roll the ball back. Using balloons or bean bags to start with, encourage your child to look at the item being thrown and not at the person throwing. Tell them to put their hands out and grasp the item when they feel it (they can trap it with their arms against their body until they are ready to catch properly). Activities that involve Play doh, threading, posting, playing with clothes pegs and using tongs or tweezers to move things will all help develop these skills. Encourage children to stretch out their fingers and clench them up again (making sure the thumb isn’t tucked under their fingers). Repeat. Squish a sponge ball in one hand and a bean bag in the other. Release. Swap hands. Lift up one leg and slowly lower, lift up the other leg and slowly lower. Now lift up both legs and slowly lower. Sit up and touch knees with hands. Lie back down. Sit up and touch ankles with hands. Lie back down. Sit up and touch opposite knee with hand. Swap sides. Repeat. Roll onto one side, roll onto their front, then roll onto the other side. Repeat, then repeat faster (pencil roll). Roll your child over using a blanket or towel and roll them back again. Your child lies on back with eyes closed. Ask them to think of different body parts (their nose, their hand, their foot, their finger, their tummy, their big toe, etc.). Ask them to wiggle or move each body part as you call it out. Practise right and left. Allowing your children to take part in lots of natural and outdoor play is particularly important for promoting their physical development. Activities such as rolling, running, jumping, climbing and splashing are essential to help develop the key physical skills that will help your child perform to their best abilities at school. Pat’s book Ready Steady Go (co-written by Celia O’Donovan), provides movement and activity ideas for children from babies to pre-schoolers, broken down into 5-10 minute daily sessions. Dr Rebecca Duncombe is a Teaching Fellow in the School of Sport, Exercise and Health Sciences. Her research interests include Early Years physical development, physical activity and physical literacy, as well as physically active play and primary physical education. She has also presented at a number of national and international conferences relating to sociological and educational issues.